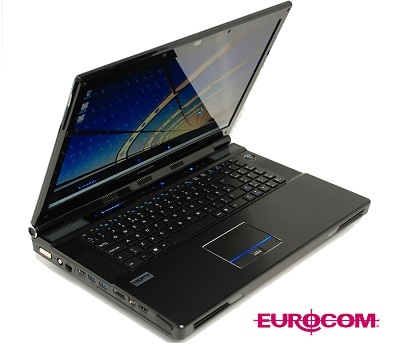 Eurocom Corporation (www.eurocom.com), a developer of long lifespan, fully upgradable notebooks, Mobile Workstations and Mobile Servers is now able to offer up to 4 Terabytes of storage in RAID 0/1/5/10. This capability is possible due to the Western Digital WD Scorpio® Blue™ 9.5 mm, 2.5-inch mobile hard drive with 1 TB capacity, which will be available in the EUROCOM Panther 3.0 Mobile Server, supporting up to four storage drives. “For users looking for the utmost in mobile storage capacity, a EUROCOM Panther 3.0 Mobile Server supporting four physical hard drives, for 4TB in RAID 0/1/5/10 is currently the best option” said Mark Bialic, Eurocom President. Western Digital WD Scorpio® Blue™ 9.5 mm, 2.5-inch mobile hard drives are perfect for use within the EUROCOM Panther 3.0 Mobile Server where user’s desire increasingly large storage capacity. Mobile Hard drives have several advantages over their desktop counterparts. Mobile Drives are higher efficiency drives in terms of power consumption compared to desktop drives and are smaller in size. Eurocom Mobile Workstations and Mobile Servers are built to offer unmatched performance, long lifespan and full upgradeability of the processor, memory, storage, operating system and VGA technology, and are designed with the most innovative technology and components available, from workstation class desktop Xeon processors and RAID support to dual GPU support. RAID stands for Redundant Array of Independent Disks, and is a technology that provides increased data storage abilities through redundancy. Multiple drives are arranged in units where data are distributed across the drives in different RAID levels. The ultimate goal of RAIDing ones drives is to provide increased levels of data reliability and backup as well as increased levels of read/write performance. Different levels of RAID correspond with varying levels of performance and redundancy; this is why Eurocom offers choices between RAID 0/1/5/10 in the Panther 3.0 Mobile Server. The EUROCOM Panther 3.0 Mobile Server supports four storage drives to offer unmatched mobile storage capacity. The Panther has three standard storage drive bays; the fourth drive is housed in and takes the place of the optical drive bay. The EUROCOM Panther 3.0 supports Hard Disk, Solid State and Hybrid Drives to offer customers a complete choice of mobile storage. The WD Scorpio Blue 1TB drive uses advanced power management features and algorithms to optimize the way the drive seeks for data, which improves power consumption and will increase battery life when needed. Western Digital uses exclusive WhisperDrive technology to create one of the quietest 2.5 inch drives available. In a Mobile Server, reliability is a must; Western Digital uses SecurePark technology to hold the recording heads away from the disk surface during spin up, spin down and when the drive is off. This guarantees the head never touches the disk surface resulting in improved reliability due to less head wear and improved non-operational shock tolerance.